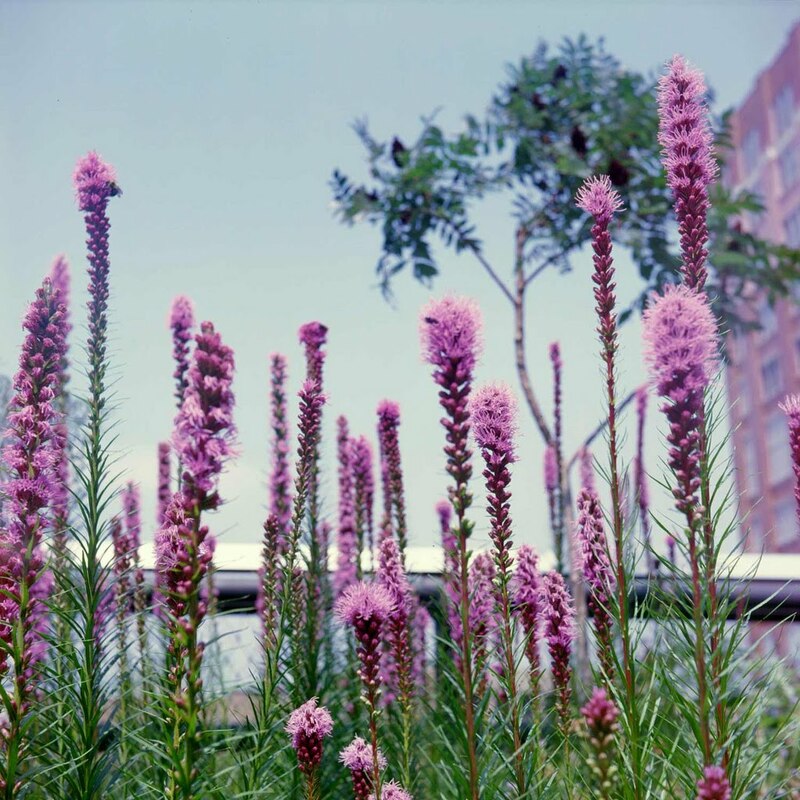 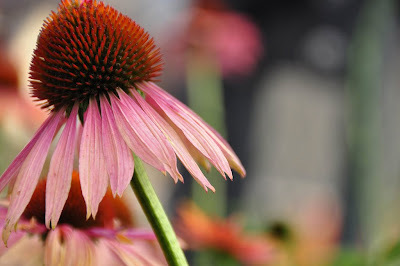 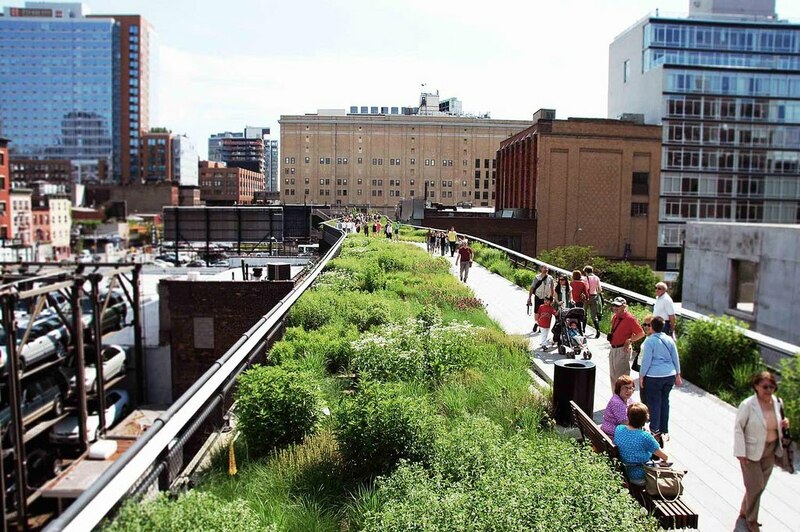 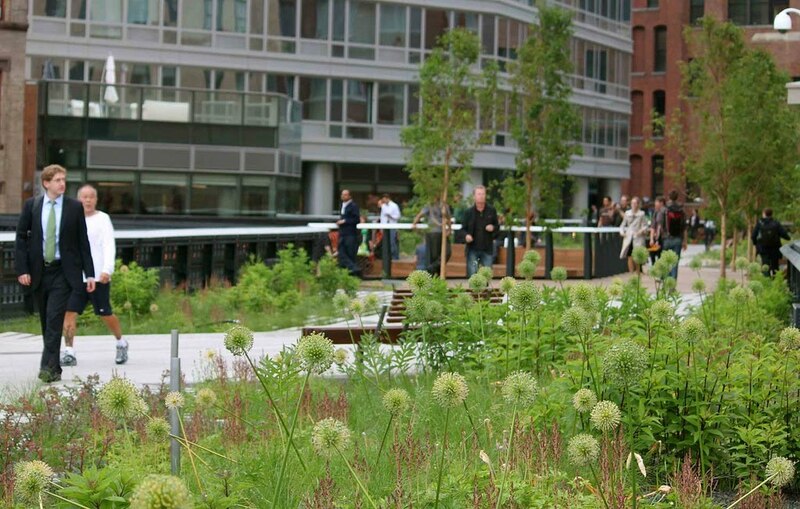 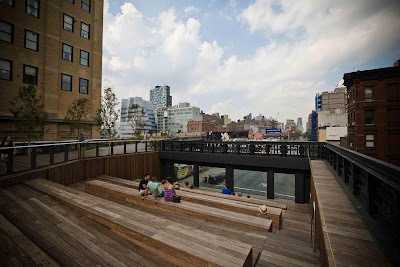 A beautiful project in NY is named " The High Line" which is located on Manhattan's West Side. 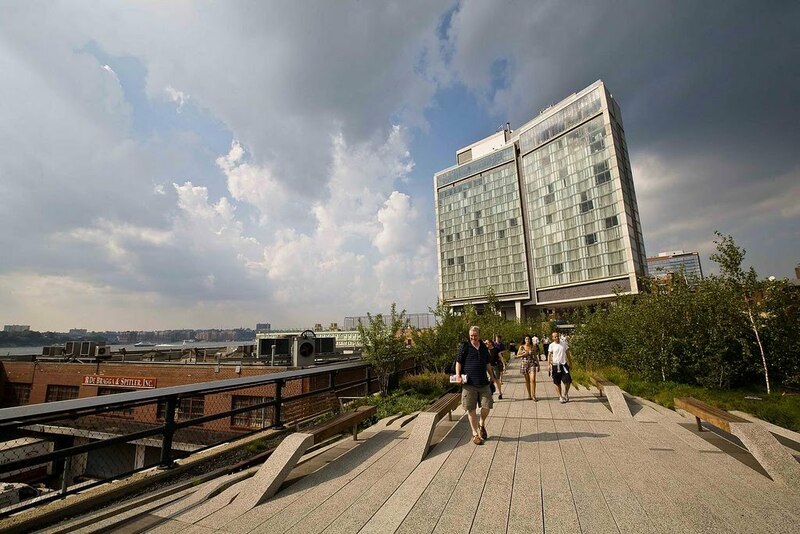 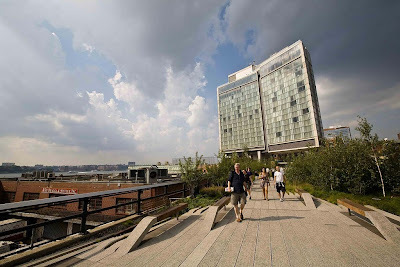 When all sections are complete, the High Line will be a mile-and-a-half-long elevated park, running through the West Side neighbourhoods of the Meatpacking District, West Chelsea and Clinton/Hell's Kitchen. 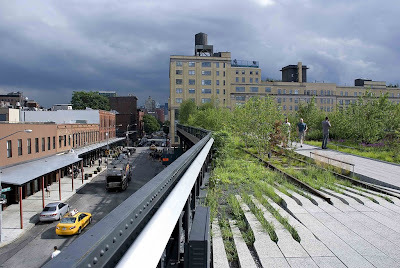 It features an integrated landscape, designed by landscape architects James Corner Field Operations, with architects Diller Scofidio + Renfro, combining meandering concrete pathways with naturalistic plantings. 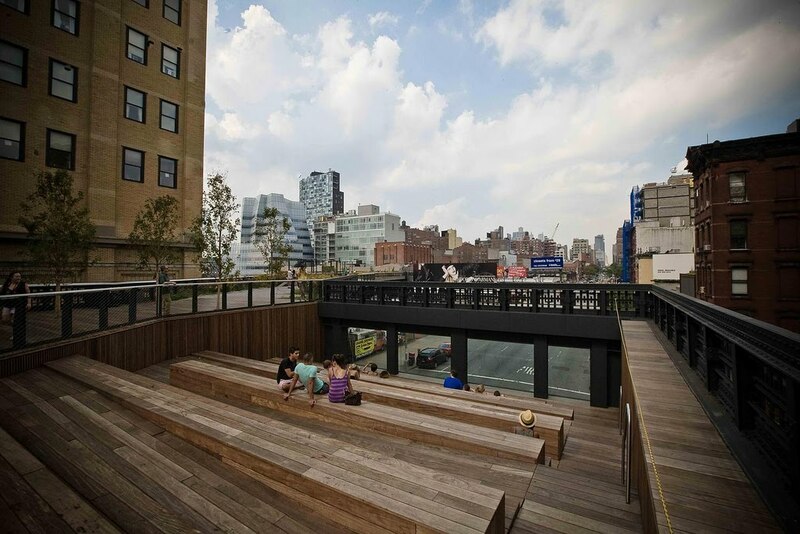 Fixed and movable seating, lighting and special features are also included in the park. 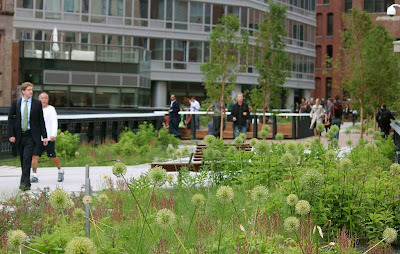 Here some Flickr photo's of the park.